Learn basic object manipulation skills. Participants will make their own set of juggling balls to keep. We’ll learn basic juggling with them and then try many other props, like, clubs, hats, poi, staff, devil sticks, plates, scarves, boxes and more. 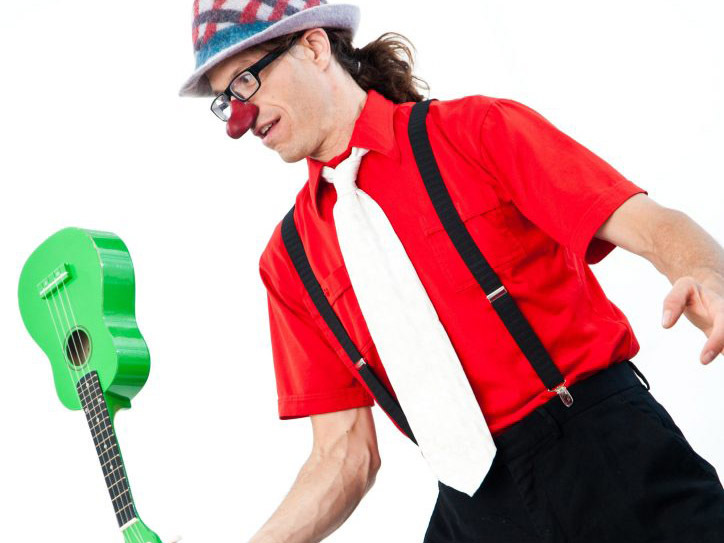 Clever Trever is a juggling clown who has been playing around the Salish Sea and the world for twenty years. He is a graduate of the Clown Conservatory. 13+ | $55 | 12 max. Participants take home: A solid basis in how to practice (with handouts) and your own set of three juggling balls. Participants need to bring: nothing, but if you have props you can bring them.